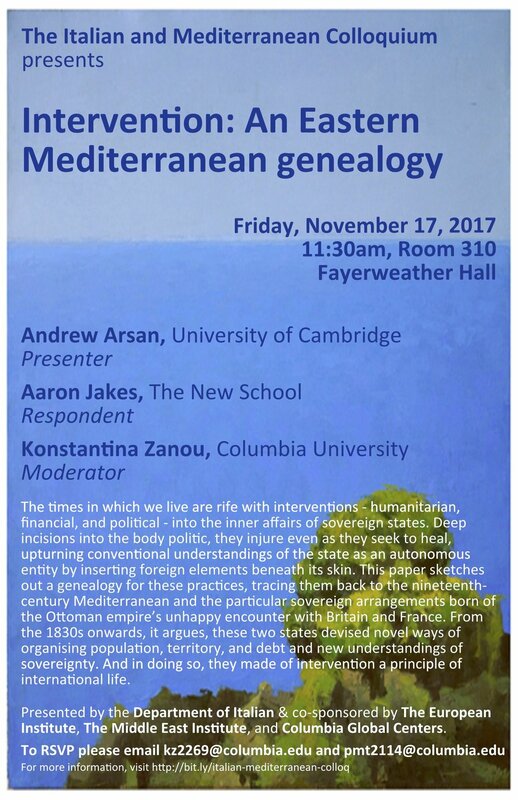 Andrew Arsan is a political, cultural, and intellectual historian of the modern Middle East and of French and British imperialism, and University Lecturer in Modern Middle Eastern History in the Faculty of History. Born in Beirut, he lived in Paris and London, where he studied at the Lycée Français Charles de Gaulle, before coming up to St John's to study for a BA in History. After a circuitous round of research and teaching that has taken him – amongst other places – to Provence, Princeton, Paris, Dakar, and Beirut, he eventually returned to Cambridge, taking up a position as College Lecturer here at St. John’s, where he is Director of Studies for Part II.Andrew’s research interests include the history of migration and the circulation of people, goods, and ideas through the world; the history of non-European political thought; and the imperial histories of Britain and France. He runs a Part II paper on the Middle East in the History Faculty, and lectures for the two world history papers at Part I, 'Empires in World History from the Fifteenth Century to the First World War' and 'World History since 1914'.